The kids at City of Hope rocked their on-camera interviews for Los Angeles' most watched news station. What an amazing ArtDay with the kids at City of Hope and Victor Espinoza! Karen Andrade and I painted Girl Power together for the Leukemia & Lymphoma Society's Man & Woman of the Year Gala. Karen is a seven-year-old cancer survivor and the 2016 LLS Girl of the Year. Girl Power sold for $12,000. Below, Ashley Cop Loftus (center) and the anchors from KEYE-CBS promote the LLS Gala and Girl Power. For this year's West Austin Studio Tour, I partnered with award-winning, National Geographic Creative photographer Greg Davis. We were thrilled to unveil the Change Agents collection. We're so grateful to Dave and Monica Hinkle, for allowing us to participate in serving those who served. The Seal Legacy Foundation Golf Tournament was not only great fun, but highly enlightening as we all learned about the challenges our most well trained servicemen and women face once they retire from active service. Fun in the sun with the amazing kids who are so beautifully served by our friends at Autism Society of Central Texas. My little secret is that I'm having as much fun as the kids are during our ArtDays! Mogie brought the house down at Houston's Ronald McDonald House biennial Boo Ball, selling for a cool $36,000. A huge thank you to the RMH Board and the amazing staff at the House for allowing us the privilege of serving with you. Celebrating with our hosts, Catherine and Chris Hanslik. 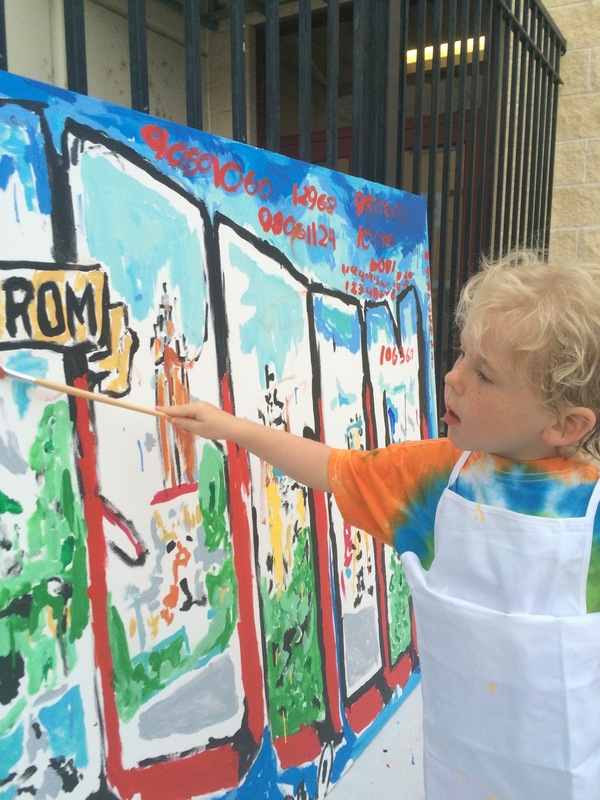 The very talented kids at the RMH in Houston partner with Carlos in the creation of a six-foot portrait of Mogie, the house's mascot and official Comfort Ambassador. Wanamaker is the finished result of one of my most unique collaborative efforts. With the vision of the Ernie Els Foundation and Robert Swett of Robert Stephen Homes, this piece was created with the help of a group of amazing kids dealing with autism. Once the paint was dry, golf legends Arnold Palmer, Jack Nicklaus, Rich Beem, and Ernie Els—along with more than 40 other notable PGA players—added their signatures to the piece. The piece commemorates the Wanamaker Trophy, awarded to the winner of the PGA Championship. Arnold Palmer, Jack Nicklaus and Ray Floyd signatures, Ernie Els, Rich Been and another 40 of golf's most celebrated players. Carlos and Ellen Ortiz celebrate with Turk and Christy Pipkin, founders of the Nobelity Project, at their annual fund raising gala. Carlos' Mandela sold at auction to one of Austin's premier gallery owners, which added a nice sum to the night's fundraising totals. St. Gabriel's Catholic School commissioned Carlos for ten guitars to auction at their annual gala to raise funds for the school's scholarship program. Carlos created each guitar for a different celebrity, and the celebrities each sign their guitars. The celebrities included household names Matthew McConaughey, Earl Campbell, Bob Schneider, and Reese Witherspoon. 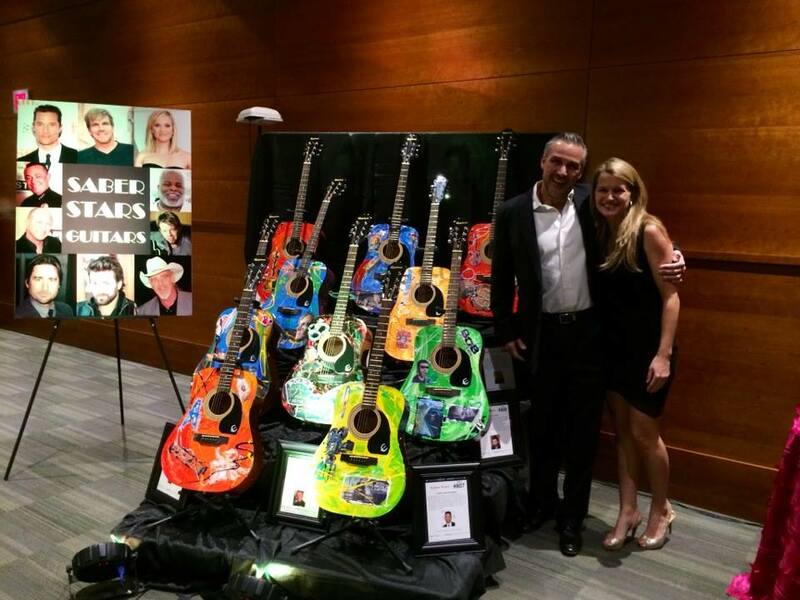 Carlos and his wife, Ellen, celebrate the auctioning of the entire guitar collection. Two paintings created during our ArtDay at Children's Hospital in Minneapolis bring in $75,000 for the organization. Carlos was awarded the 2010 Man of the Year Award by the Leukemia & Lymphoma Society for the fundraising he was able to achieve through his art.